WEST SACRAMENTO, CA — Right-hander Casey Kelly allowed just one earned run in six and a third innings but the Sacramento River Cats (43-59) dropped game one of the series 6-2 to the Omaha Storm Chasers (45-56). Kelly made it four consecutive games pitching at least six innings with his solid outing on Tuesday, and if it weren’t for the three runs that scored in the second inning, two of which were unearned, he had a shot at a third win in his last four outings. The River Cats got within a run when first baseman Jerry Sands scored on shortstop Orlando Calixte’s groundout. But Sacramento failed to reach base in the final two frames while the bullpen surrendered a trio of additional runs. Among the club’s seven baserunners on Tuesday were two hits from Sands, as well as two from second baseman Miguel Gomez. Right-hander Shaun Anderson (0-0, 3.60) will be making his Raley Field debut on Wednesday after his Triple-A introduction last week in Fresno. The Storm Chasers will counter with righty Trevor Oaks (6-4, 2.12). First pitch is set for 7:05 p.m. (PT). Catch all of the action live online at rivercats.com, on the MiLB First Pitch app, and on the air on Money 105.FM. EL PASO, TX — The struggles against left-handed starters continued on Sunday evening for the Sacramento River Cats (43-58) as they were defeated 10-3 at the hands of the El Paso Chihuahuas (54-47). Southpaw Jerry Keel induced 13 groundball outs in his seven innings, allowing just one earned run as the River Cats fell to 4-17 when the opposition sends out a left-handed starter. Sacramento added a couple runs in the fifth inning thanks to a sacrifice fly from catcher Ronnie Freeman and an RBI-single from shortstop Orlando Calixte. Then late in the game, second baseman Myles Schroder launched one in the ninth for this fifth home run of the season. After tomorrow’s day off, the River Cats will be back in action on Tuesday with right-hander Casey Kelly (9-7, 4.95) on the mound. Their opponents, the Omaha Storm Chasers, will go with left-hander Jake Kalish (4-4, 3.27). First pitch is set for 7:05 p.m. (PT). Catch all of the action live online at rivercats.com, on the MiLB First Pitch app, and on the air on Money 105.FM. EL PASO, TX — The Sacramento River Cats (43-57) fell to the El Paso Chihuahuas (53-47) 9-5 on Saturday night, but saw their power-hitting corner outfielder crush his team-leading 20th home run of the season. Chris Shaw lifted one to the opposite field in the seventh inning to reach the 20-home run mark, putting the River Cats on the board for the first time all night against El Paso starter Brett Kennedy. The River Cats starter, right-hander Tyler Herb, was making his first appearance for the club since April 23 after spending 80 days on the disabled list. He allowed six runs on six hits and two walks in five innings of work. A ninth-inning rally for Sacramento featured a two-run shot off the bat of shortstop Orlando Calixte — his tenth of the season — as well as a Gregor Blanco run-scoring double. The series will conclude Sunday evening as the River Cats send righty Jordan Johnson (0-2, 7.11) to the mound to face Chihuahuas lefty Jerry Keel (2-1, 4.76). First pitch is set for 5:05 p.m. (PT). Catch all of the action live online at rivercats.com, on the MiLB First Pitch app, and on the air on Money 105.FM. FRESNO, CA — The Sacramento River Cats (41-55) were stymied by Fresno Grizzlies (55-40) righty Josh James, who struck out 12 River Cats hitters as they fell 8-3 to their central California rivals. Shortstop Orlando Calixte led the offensive charge for Sacramento as he recorded three hits, including his 11th double of the season, to give him five hits in his last two games. A pair of two-baggers from Chris Shaw and Ryder Jones in the sixth inning provided the team’s three runs, with Jones’s two-run double extending his RBI streak to four games. After River Cats starter Daniel Camarena surrendered all eight of Fresno’s runs, right-hander Jose Valdez and lefty Steven Okert teamed up to strike out eight batters in their combined 3.2 innings of work to keep the game from getting out of hand. For Valdez, he sent five of the seven batters he faced packing in 2.1 perfect frames. Game three of this series on Wednesday will see right-hander Casey Kelly (8-7, 5.20) making his team-high 17th start of the year while the Grizzlies will go with fellow righty Cy Sneed (8-4, 3.11). First pitch is set for 7:05 p.m. (PT). Catch all of the action live online atrivercats.com, on the MiLB First Pitch app, and on the air on Money 105.FM. WEST SACRAMENTO, CA — The Sacramento River Cats (22-25) put together a rally in the eighth inning, cutting the deficit to just one, but left the bases loaded as the Las Vegas 51s (20-27) prevailed 4-3 to hand the home team its fourth straight loss. The attempted comeback got started with a leadoff double from Hector Sanchez, followed by two consecutive singles from Orlando Calixte and pinch-hitting Kyle Jensen. But back-to-back strikeouts and a groundout ended Sacramento’s late-inning threat before going down in order in the bottom of the ninth. Right-handed starter Dereck Rodriguez was impressive again, striking out seven in six innings of work. He’ll regret the two home runs allowed, including a two-run shot to rehabbing catcher Kevin Plawecki in the third. For Rodriguez, it was the sixth consecutive start in which he’s recorded at least six strikeouts, and sixth outing of the season in which he’s issued one or fewer walks. These two clubs will wrap up their four-game series Thursday night and then not meet again until August 24. Right-handers Casey Kelly (4-4, 7.27) and Drew Gagnon (0-2, 7.14) will look to improve on rough starts to their 2018 seasons. Catch all of the action live online atrivercats.com, on the MiLB First Pitch app, and on the air on Money 105.5 FM. SALT LAKE CITY, UT — Rehabbing outfielder Mac Williamson homered for the second consecutive game to begin his stint with the Sacramento River Cats (22-21), who knocked off the Salt Lake Bees (24-19) 11-7 on Saturday night. Williamson drove in four runs, adding an RBI with a double in the fifth inning. He now has eight home runs in just 59 plate appearances with the River Cats this season while batting .468. Fellow outfielder Austin Slater, who was playing first base on Saturday night, doubled in the third inning to extend his hitting streak to 15 games. The two-bagger, his 16th of the year, led off the frame and eventually scored on an RBI single from designated hitter Kyle Jensen. Six River Cats batters totaled at least two hits, including three hits for both Steven Duggar and Orlando Calixte. For Calixte, the third of his trio of hits was his sixth home run of the season — a two-run shot in the ninth inning to extend the lead to four. The River Cats will look for their third win in a row in Sunday afternoon’s matinee in Salt Lake City. Right-hander Jose Flores (1-3, 5.06) will toe the rubber for Sacramento while the Bees will counter with righty Jaime Barria (0-4, 2.92). First pitch is set for 12:05 p.m. (PT). Catch all of the action live online at rivercats.com, on the MiLB First Pitch app, and on the air on Money 105.5 FM. 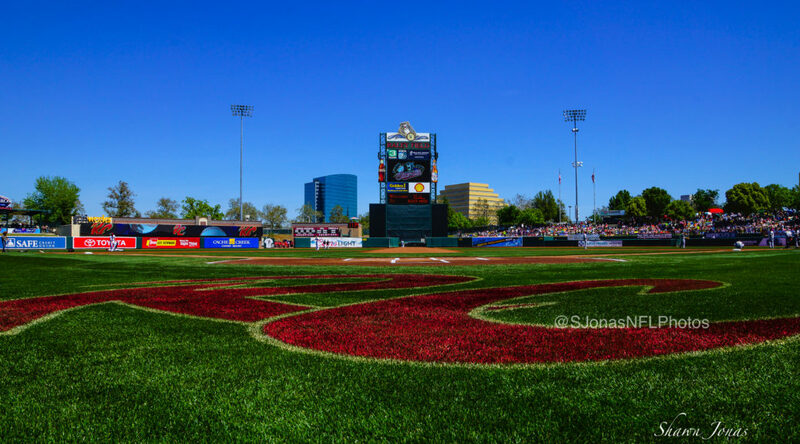 West Sacramento, CA – The San Francisco Giants have extended non-roster invitations for Major League Spring Training to 16 players, club Senior Vice President and General Manager Bobby Evans announced Thursday. Featured in the group are six River Cats players from the 2017 season. Left-handed starting pitcher Andrew Suarez will be making his second straight appearance in big-league camp, having been part of a group of 28 that received invites in 2017. 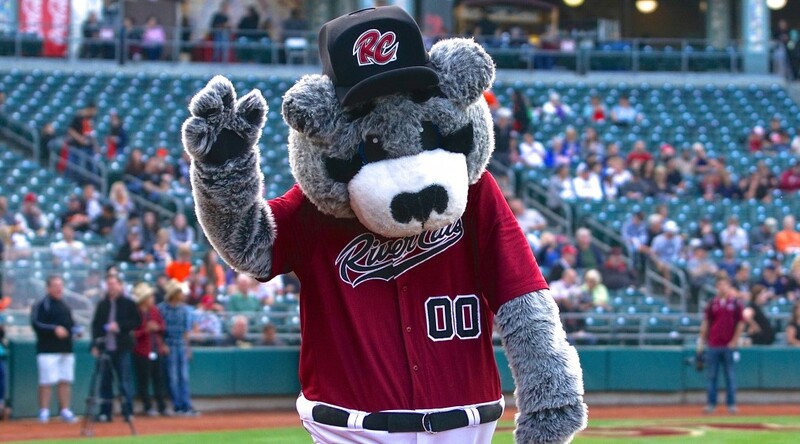 After being called up from Double-A Richmond, Suarez made 13 starts for the River Cats with a 3.55 ERA and 80 strikeouts in 88.2 innings pitched. Right-handed starting pitcher Jose Flores will be making his first Major League Spring Training appearance for the Giants. Like Suarez, Flores was called up from the Richmond Flying Squirrels, making 12 starts with a 4.04 ERA in a River Cats uniform. Infielder Orlando Calixte will be making his second trip to major-league camp, though last year’s invite came as a result of being on the 40-man roster. The Dominican Republic native played in 42 games for the River Cats with a .286 batting average and .500 slugging percentage before being recalled by San Francisco, where he secured his first major-league hit in a 2-for-5 performance on May 30 against the Washington Nationals. Catcher Trevor Brown will be in big-league camp for the third straight year, but it will be his first as a non-roster invitee. Brown began the 2017 season on the disabled list but returned and played in 58 games for the River Cats. The Giants’ No.1 ranked prospect, according to MLB.com, outfielder Chris Shawearned his first non-roster invite. The left-handed power bat from Boston College clubbed a team-leading 18 home runs and 25 doubles in 88 games in Sacramento. Outfielder Steven Duggar’s invite to major-league camp is his second consecutive. The Clemson product missed nearly the first three months of the 2017 season with a hip flexor injury, eventually making his way to Sacramento where he played the final 13 games at Triple-A. The other 10 players who received a non-roster invite are: RHP Tyler Cyr, RHP Dereck Rodriguez, RHP Jose Valdez, RHP Madison Younginer, C Justin O’Conner, C Hector Sanchez, INF Chase D’Arnaud, INF Alen Hanson, 1B Kyle Jensen, and INF Josh Rutledge. 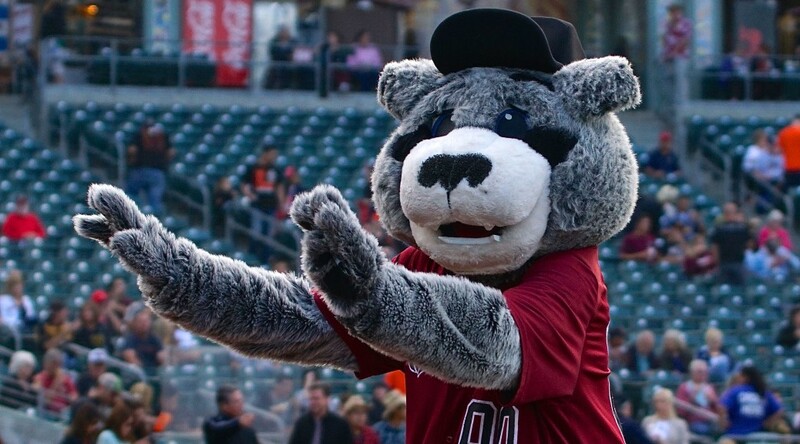 El Paso, TX – The Sacramento River Cats (58-74) settled for a split in the weekend doubleheader with the El Paso Chihuahuas (66-67), as they fell 1-0 in game two after holding on for a 7-4 victory in game one. In game one, Sacramento led from the very first batter as Steven Duggar hit a leadoff home run to put the River Cats up 1-0 in the first. Sacramento would jump out to a 7-0 lead after six innings before El Paso made it interesting late. Orlando Calixte added his 14th home run, and Jae Hwang, Conor Gillaspie, and Tim Federowicz each pitched in with multi-hit games. The back end of the doubleheader gave us a pitcher’s duel as Roberto Gomez and Chris Huffman took a scoreless game into the fourth. The Chihuahuas broke through on an RBI-groundout by Nick Buss. That run would hold up for El Paso, as the River Cats managed just five hits and were 0-for-4 with runners in scoring position. The River Cats will go for the series split tomorrow night as Sacramento right-hander Jose Flores (2-3, 2.97) will face off against El Paso righty Kyle Lloyd (1-4, 7.42). First pitch is set for 5:05 p.m. (PT) and the game can be heard live online at rivercats.com. The game will also air starting at 5 p.m. (PT) on the air on Money 105.5. West Sacramento, CA – Andrew Suarez was dominant tonight for the Sacramento River Cats (43-61), shutting down the Round Rock Express (46-59) offense en route to the 2-1 win. Suarez ran into trouble in the first inning, giving up his only run of the night in an inning that included two hits, a walk, and a wild pitch. The left-hander settled in after that, allowing just two more hits and two walks the rest of the night. He set a season-high tonight with nine strikeouts and at one point retired 14 straight Express hitters. The River Cats offense backed Suarez’s outing with back-to-back runs in the fourth and fifth innings. Last night’s walk-off hero Ryan Lollis got Sacramento on the board first with an RBI-double and Ryder Jones followed by driving in Orlando Calixte. Sacramento will send left-hander Matt Gage (0-4, 6.65) to the hill for the fourth and final game of the series tomorrow night. Right-hander Tyler Wagner (1-9, 7.01) will go for Round Rock. First pitch is set for 7:05 p.m. (PT) and the game can be heard live on the air on ESPN 1320 and online at rivercats.com.